This is an interview that took place over email back in October and November of 2011. MP: To start in a very English fashion, it’s just turning to autumn here – we’ve had a weird period of really warm weather, but now it’s getting cold and the leaves are falling. Whereabouts are you at present, and what’s happening outside? It’s great that you start out talking about the weather. I love talking about the weather and some people don’t understand why. I am in Chicago and summer split rather abruptly about a month ago but now we are having our period of beautiful warm weather. Almost summer like except for the lack of humidity and the sounds coming in through the windows. The cicadas are gone, the leaves are turning and falling and rustling in the gangway and street and there is less sounds from kids playing , them being back at school. Inside our house, here where I play and record, the sounds have changed too. When the heavy humidity leaves the air the guitars and organs sound different. My fingers and nails sound differently to me; I start to change what and how I play; but I am trying to hold on a little longer to the summer feel until it isn’t possible anymore. That makes me think of Elizabeth Bishop and where she used to live in Brazil – they were so high in the mountains, clouds would drift through the open windows. With the changes in weather and the influence it has on your sound, do you choose certain times of year to record? Since I don’t really write songs, and I also have never really gone out of town to perform on my own, what I do is play and record, pretty much all the time – as a way of life. What and how I play then necessarily changes seasonally and that has always been my goal: to have the seasons, where I live, who I live with, and how I live all be reflected in the recordings. Where I find I get a little distracted from it is when I am asked to perform a show here in town and I have to concentrate on what I will do for it. What I do daily doesn’t translate as performance so I feel I have to come up with something to do to be entertaining and that can take my head away a bit; sometimes I am grateful for the break and sometimes not. One solution, for a couple of shows at a club near here, was to perform here at home and send it over on a pirate radio transmission; but that only works for very short distances with the equipment I had. That sounds fascinating – is there a copy of that available? I am not aware of any document of either of those shows, and I am not really all that interested in documents of my performances. I like to remember. I’m intrigued by that notion of inclusivity in your work – incorporating environmental conditions and moods etc. Does that extend to other areas, for instance what you’ve been reading or watching? As far as relating to stuff seasonally, I guess the goal is to not have to think about it and let it occur naturally. I am not a very big consumer of those things, also not a very big consumer of music, but thinking of other things, what we eat changes with the seasons, what we wear, like I said sounds change, the light changes affecting what we see. If something is not working I’ll try to not force it. I feel that my relationship with acquaintances changes as well, especially with musical collaborators – I feel that we have certain seasons that work particularly well. Some have more seasons than others and I don’t really know why. That seems like a good time to ask about Souled American if that’s OK. Could you tell us something of those times? What do you make of the Souled American legacy – that sense that they are seen as something of an ur-alt country band? I don’t really give it any thought. As far as I know Souled American is still a band. Were you still with Souled American when you started playing and recording with Boxhead Ensemble, or did this naturally follow after? No, Souled American was an all or nothing situation, so when it wasn’t working out for me and I left it, I didn’t really have any direction for myself since my only musical existence was creating guitar parts for their songs. So it took a little time but eventually I felt I had found somewhat of a voice. I was still using studios to make recordings and decided to try out Truckstop studio – in part because they said they had a vintage antique pump organ which turned out to be a wheezy inoperable piece of junk; but I met and recorded with Braden King. He had just finished his film Dutch Harbor, and we liked working together and did some more recordings and then when he did a tour of the film with lots of musicians he asked me along. So through that then I met Michael Krassner and eventually Joe Ferguson who was operating the Truckstop label and he put out Hard Again and The River for me. How did you arrive at your ‘sound’ for The River and Hard Again? If one goes looking for it, it does seem possible to trace a journey or pattern out from the slow workings of Souled American and the creakier post-rock tinged ambience of Boxhead Ensemble, but is that too neat, is it more nuanced and chaotic than that? I like songs but I’m not a songwriter so I started collecting songs and certain melodies that appealed to me and would put them together with the idea of playing them as skeletally as I would play in Souled American and have that be the main part. But it was still me playing and playing pretty much the same way. The first thing I did with The Boxhead Ensemble was a screening of the film followed by different sets of musical performances and I would play a set of material with various musicians. Toward the end of the tour we started doing some of that along with the film. I never was very involved in any studio recording that Boxhead was doing apart from some things we did here at my house, but that was also specific material. I am really terrible at just improvising stuff so even with the other performing I did with them I would bring some songs to mix in with the improvised stuff. Without an encyclopedic knowledge it’s often difficult to gauge to what extent you employ traditional melodies and also work in your own – melody fragments are often so suggestive it feels like the present leaking into the past and vice versa. That word ‘collect’ implies a certain amount of archiving. Is that true of your work? How do you approach the tradition? Well, a song or a melody could come from anywhere, not just traditional music sources, but I know when I hear something that it belongs to me or I to it. And yeah, then after some years of playing things different ways , recombining them, forgetting about them for a time, then re-remembering and learning them again but maybe differently, they sort of turn into something of their own. Some songs I can point to as straight up versions of a song, some I can remember the sources and some have evolved beyond my memory of where they came from. I try to rely on my memory but along the way I’ve always made a lot of tapes that help me to remember things. I often get the sense of being inside your sound, as if it were a huge resonating chamber, and when you used that word ‘skeletally’ before, is there something of a process of ‘emptying out’ or ‘scouring out’ in your work? Lately I’ve been working on one song at a time, recording it a lot until I feel it gets somewhere and so I’ve noticed that as it progresses I play less and less. I guess especially once there are a few different parts each one takes a little room and I can play any one of them through without playing much at all.I guess I like things to be as much implied rather than presented and that way it invites participation more than just attention.That people would imagine themselves in the song and making their own part to it rather than simply listening. I guess the way I tend to record , pretty quietly with room mic’s pretty open usually in a pretty resonant room adds that feeling as well. That idea of emptying out and yet inviting in makes me think of Rothko and listening to The River again recently, I was struck by the almost monkish, devotional quality of it – what part, if any, does religion play in your work? Really not at all, except that I do like church music; but I wasn’t raised with much religious affiliation and never developed any. In fact it was Souled American’s increasing insistence that their catholic upbringings be the guiding force of their music and method that made it made it pretty impossible for me to be a part of it. 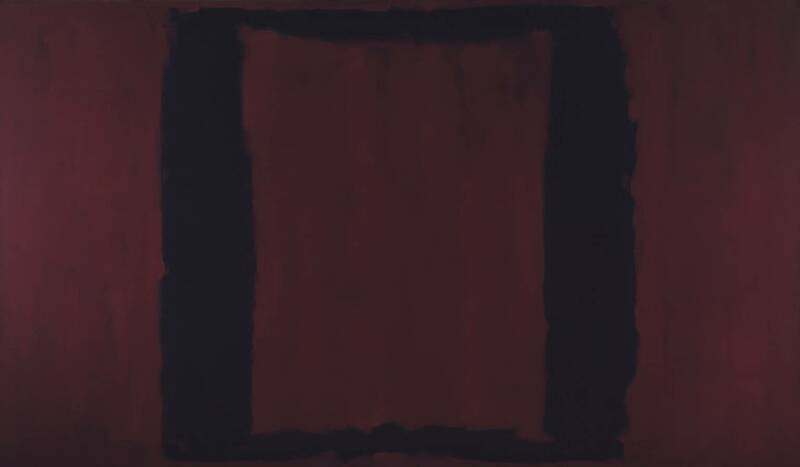 But it would be right about that time that I became really taken with Rothko. There are a few here and there was an exhibition of his earlier work and then I went to New York to see a retrospective, probably around ’98 or so. I don’t know much about him and prefer to just experience his work, but I definitely felt that these big resonating pieces of pure feeling were something to try and emulate in music. They seem to be free of any need to intellectualize and are so resonant as to invite you in and participate in the feeling. The front and back cover of Hard Again are collaged from photos I was taking of one of his paintings that hangs here in Chicago – the first I’d ever seen I guess. Is that sense of anti-intellectualism something you consciously try to approach in your own music? Do you think your work resists interpretation to some degree? Oh, I wouldn’t say I’m anti intellectual, I’m just drawn to stuff that is more about feeling than some sort of analysis. So I don’t consciously avoid anything, I just follow my nature. I always expect to see people dancing when I play. They don’t, but that’s OK. I don’t know about interpretation, it would be my hope that it would avoid comparison, but that is for other people to say right? You’ve said you don’t play live a huge amount. Have you played in Europe much? Any plans to come to the UK? We promise to dance…. In the past , trying to set up shows for myself out of town I’d found , really no interest , so at some point I decided to not worry about it and concentrate on the recordings until anything presented itself to me. 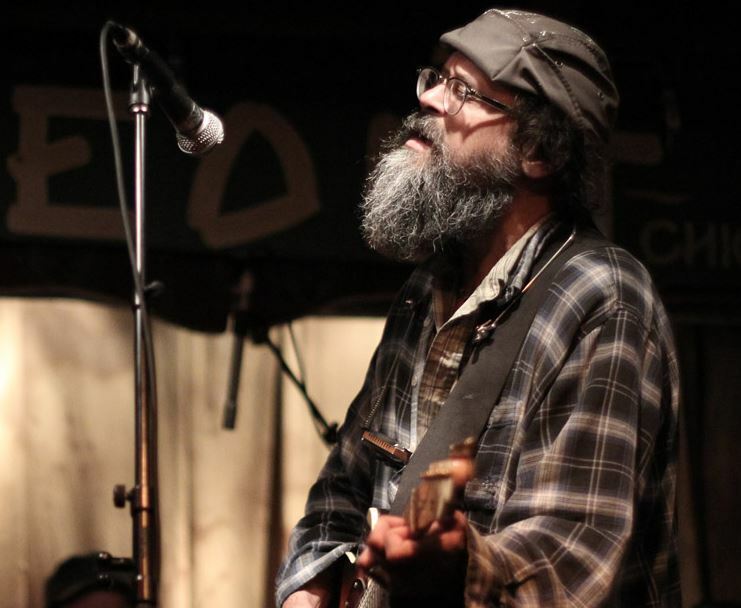 Here in Chicago some sporadic shows come about, usually through Mike Weis. 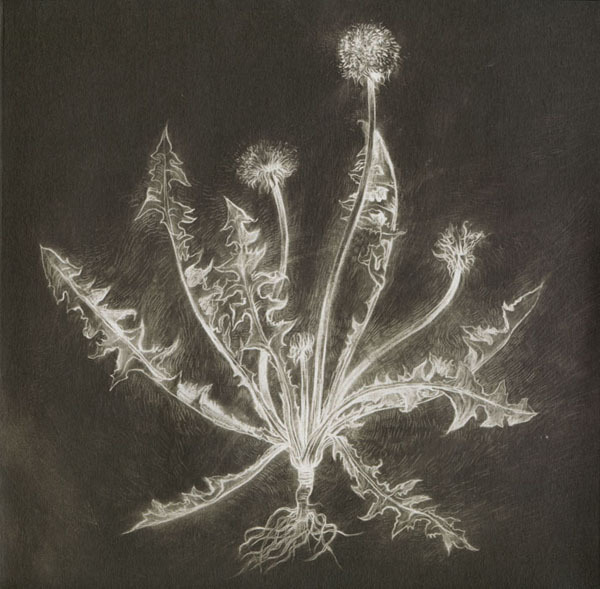 Scott Tuma – Dandelion. Artwork by Chris Koelle. Going back to your covers, what prompted the vinyl release of Not for Nobody and how did you hook up with Chris Koelle for the stunning art work? Yeah, Erik Keldsen was interested in doing the vinyl and of course I was thrilled to do it. Chris Koelle got in touch with me to say how much he liked The River record and we became acquainted. He did the cover for Dandelion as well, and an art edition of original prints for it. I was curious as to why you decided to include vocals on ‘Nobody (River of Tin)’, ‘Reprieved’ from Not for Nobody and ‘Hope Jones (For Jason)’ on Dandelion: if it’s not too crass a question, what are you singing ‘about’? Well, I like singing, I usually sing some when I play shows, I sing a lot at home… I guess I’m not very good at recording my voice though. ‘Nobody’ is an old song of mine; there is a longer instrumental version of it on the record from the first Boxhead tour and a bit of it on The River as well. The title of it comes from the lyrics. I guess I finally got a version with singing that I liked – two actually. I wouldn’t try to define any meaning, that would be the listeners choice, the words to ‘Hope Jones’ are pretty simple though. What do you think about the idea of the ‘New Weird America’? And I suppose as a corollary of that, what of the legacy of Fahey? I’m just trying to make recordings as a way of my life. It doesn’t seem like there is a scene of that; I don’t pay a lot of attention so I wouldn’t know about a movement. Nobody’s asked me to their festival so far! As far as a resurgence or cycle, again , I don’t pay much attention but it would seem to me that those have always been around in some way or another. You’ve always had elements of noise in your work, but some sections of Peeper were quite looming and abrasive (thinking of ‘Free Dirt’) in particular. Is that something you want to explore more? And it’s great to hear the birdsong on ‘On A Beautiful Day’, too – they sparrows? Yeah, I’d love to have more tracks that sound like that. It just wasn’t too easy to get for me. I’ll Keep trying and maybe a season will start for it. Yes sparrows – they’re thick in the vine at my back door and chatter like that when it’s cold.